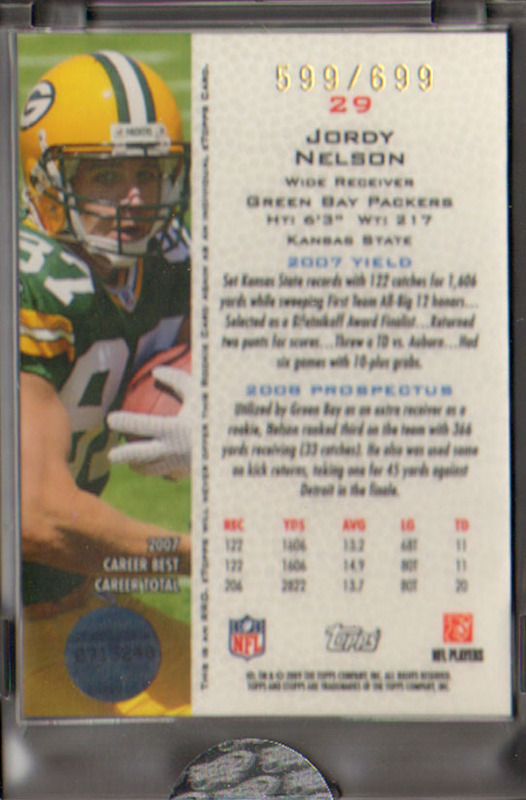 Long Way from Lambeau: My new Favorite Jordy Nelson Rookie Card and an spiffy new AJ Hawk card. 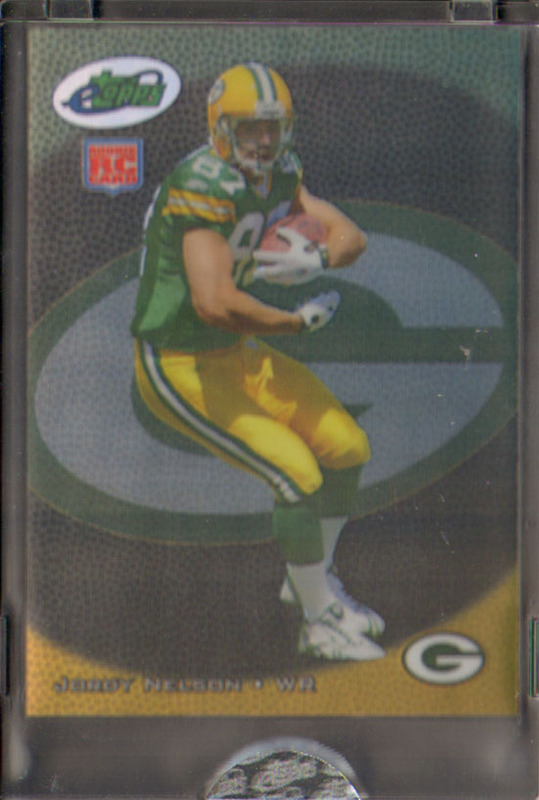 My new Favorite Jordy Nelson Rookie Card and an spiffy new AJ Hawk card. I was digging through my eTopps cards that I just got and found this great Jordy Nelson rookie from 2008. 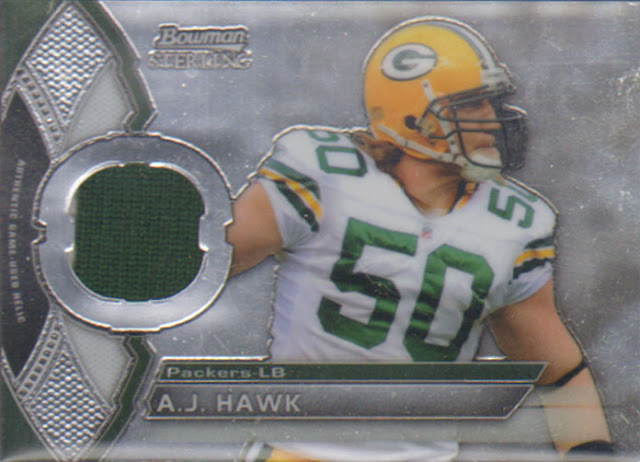 I really like the 2008 design and it's numbered to 699. Too bad eTopps is now dead but there are some great cards out there. 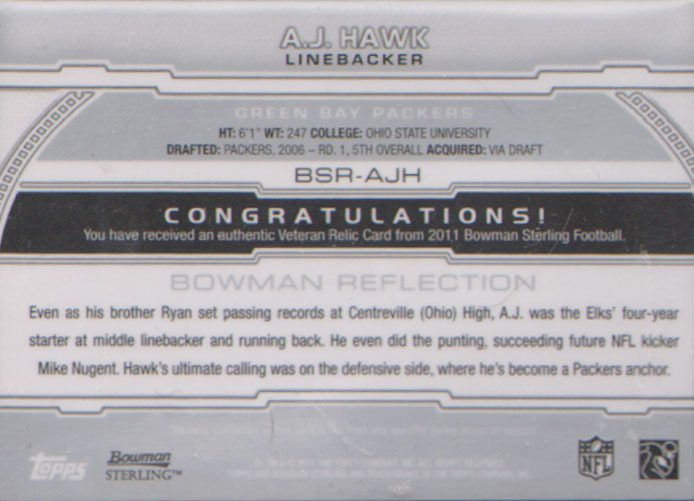 I also just got this bad boy in the mail. You can just see the white peaking out on the left. A great steal if I do say so myself.